No matter what you do in the horse business — training, sales, breeding, instruction — you probably find yourself regularly in need of some decent photos of your horses. Equine photography is a challenging practice, which is why there are so many professional photographers out there just waiting to take your next conformation shot. So what are some great ways to improve your eye for equine photography? We have some tips for taking great horse photos. We all keep horses for different reasons, but whether your horse lives out on pasture and goes for occasional trail rides, or spends most of his time working in an indoor and eating hay in a stall, there are certain necessities every horse owner must keep around the barn. These are the four bandages every horse owner needs on hand… just in case! Horses are outdoor creatures. Frequently, however, they’re living indoor lives. And while some horses will let you know they really prefer the sheltered experience — we’ve all known that horse who demands to be returned to his stall the moment a cloud appears in the sky — the fact is, their physiology is still designed for wide open spaces. They require motion, fresh air, and natural light. 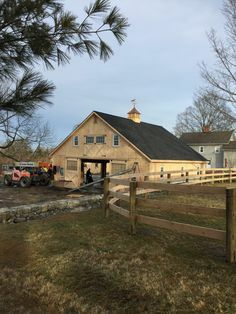 Should Your Barn Include a Loft? Hay lofts and other overhead spaces are a historically proven way to add valuable storage space to your barn without eating up square footage that you can devote to your horses’ living space, working space, and paddocks. There are also conveniences to keeping bulky items like hay on the second level — once you’ve got it up there, of course! But there are some cons to lofts as well. Let’s dive in and take a look at the pros and cons of hay lofts and overhead storage in your barn. 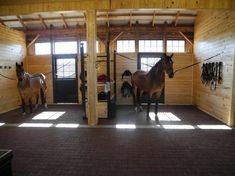 Should My Indoor Arena Connect to my Stable? Indoor and covered arenas are becoming increasingly popular for horsemen across the country. There’s really no climate in which a trainer or even casual rider can’t take advantage of a roof over their head while riding. Protection from rain, snow, and blazing hot sun — all of these conditions can significantly impact your training calendar, as well as your enjoyment of your horses. They also come in handy for turn-out when paddocks are inaccessible or unsafe.